Medication Deliveries allows you to create scheduled medication delivery times. The information set in this section corresponds to the Scheduled Medication Delivery Log. 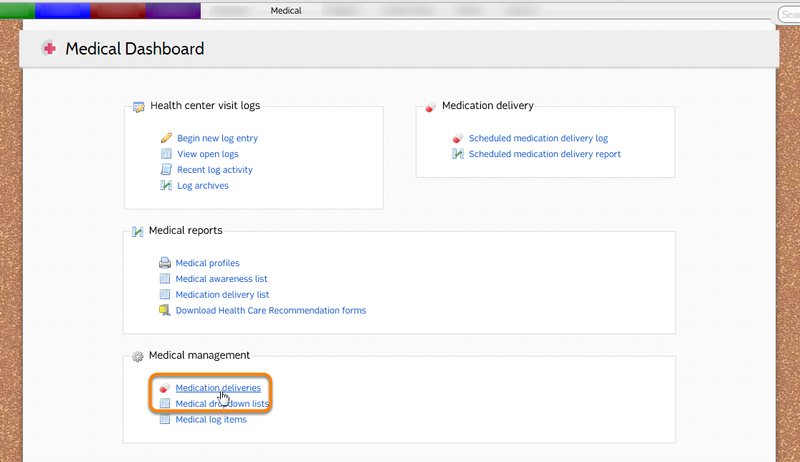 Medication deliveries are management in the Medical Management section of the Medical Dashboard. The new medication delivery will be added to the list. Double-click in the "Delivery" or "Time" column to edit the name or scheduled time. Medication deliveries that are not in use can be deleted by double-clicking the red minus sign.